Not gonna lie, this sounds pretty cool. I'm sure I'll check it out. Did they even announce a launch date that I might have missed? Edit: Nevermind, it launches 11/12/19. 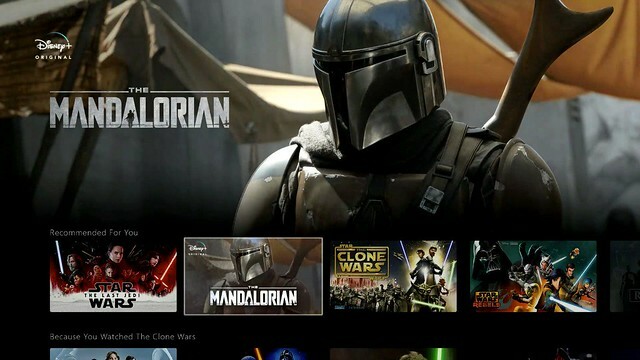 Just went to the Disney+ site and it says it right there. Last edited by MechaDangerous; 04-11-2019 at 06:21 PM.. Reason: Found the answer myself. Yay me. If it's Jon Favreau's show, I'll watch it with fully raised expectations. 70 bucks a year. Cheaper than Netflix or Prime. Hopefully they will have Archer and other former Fox IPs on the service aswell. I would rewatch some simpsons from like season 2 to about 9 or 10 before it became mostly Lisa on her soapbox. Last edited by EL CABONG; 04-12-2019 at 06:32 AM..
Good price. Better price is free which is about how much I'll be paying for any new Disney content post Endgame. I prefer my entertainment to entertain, not with an extra twist of forcefed wokeness. I am interested to see how this messes with Netflix though. At one point people argued it was Netflix that needed the Disney IPs to push the service, then a few years ago the argument shifted to say any IP is better off launching on the strength of the Netflix brand, including the later Marvel shows. Also, what idiot is naming these shows? WandaVision? The Falcon and The Winter Soldier? Loki? Good lord, the lack of creativity is a Marvel to behold. This seems like a sharp launch for them. Sadly, I give almost no shits about any of their IPs these days. I wish I did, I'd be all over this. 4K HDR Dolby Atmos or BUST!!!! Doubt you're getting that for that price on a streaming service. I'm really hoping they re-release Malcom in the Middle in HD for all seasons. I LOVE THAT SHOW! !